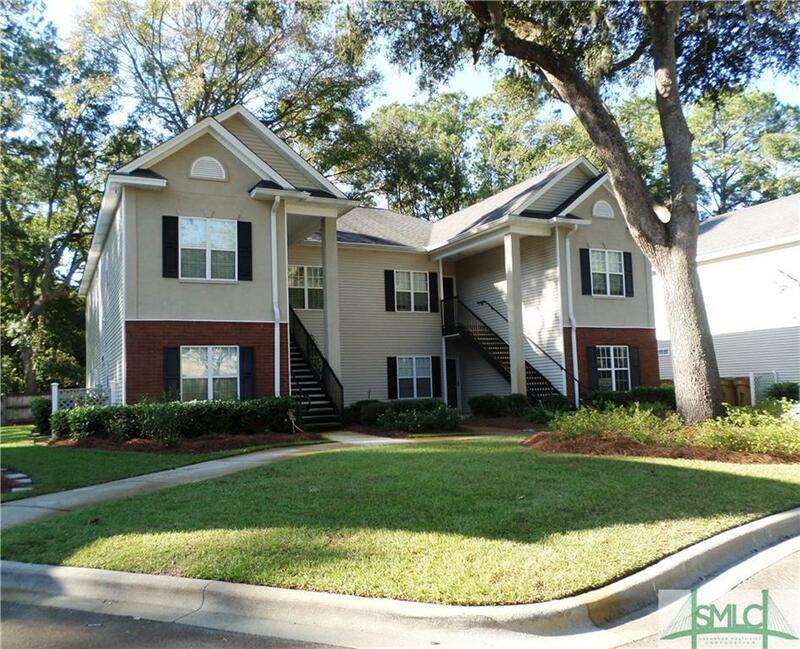 Updated 3 bedroom 2 bath ground level condo in River Trace. Living room, dining area and foyer has crown molding with quality laminate wood flooring throughout home with ceramic tile in baths. Kitchen is up front with plenty of lighting, extra cabinets, stainless steel appliances, with eating area and pantry, separate laundry room with washer and dryer, Master bedroom has walk-in closet and master bath has double vanity sink and large shower with seating inside, wonderful screen porch overlooking private wooded area all in a well maintained community. No rentals allowed. Won't Last long!! Easy to show!! Association Name River Trace Condo Assoc. Listing courtesy of Vicki Mitchell of Mitchell & Associates. © 2019 Savannah Multi-List Corporation. All rights reserved.